Even if it is one of the more West-leaning (& -situated) countries of the Middle East, Turkey remains a predominantly Muslim country and with that there comes a certain amount of traditional behaviors that may strike a traveller hailing from the West, especially a female traveller. I expected different gender vibes than those that are common in the States, but I’ve been surprised by the shape they’ve taken. Men have been uniformly deferential, even kind, and I haven’t felt any kind of judgement about my clothes or hair, as I expected might ne the case. The only place I have felt ill at ease is when looking for a place to eat when I’ve been off the tourist trail. 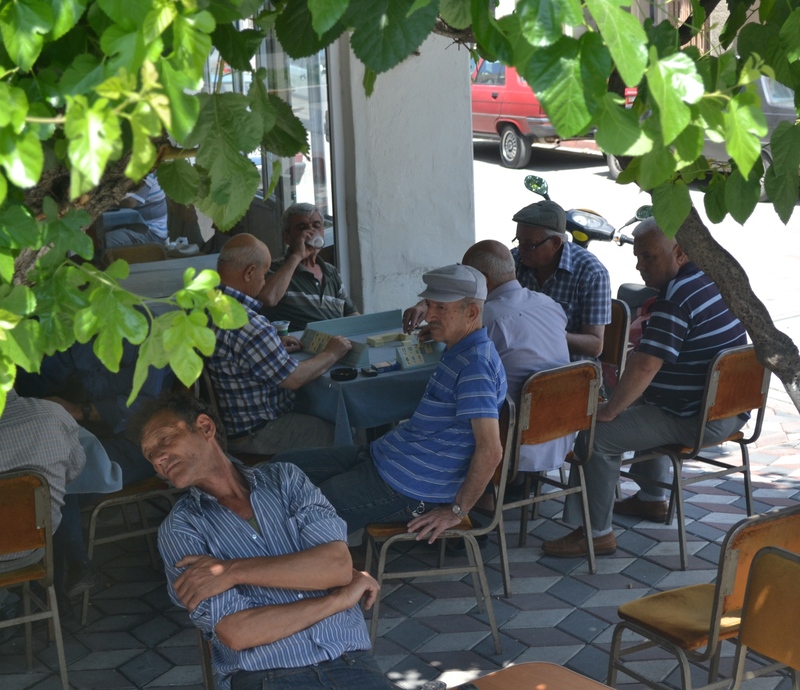 All the cafes seem populated by men, which suggests a kind of social code that would be bad manners to break. I think the first rule of travel, especially foreign travel, is to not be a jerk when you’re in a different place. (The second rule of travel is: when you see a bathroom, use the bathroom.) And that means figuring out what your host country thinks is jerk behavior. So, just as I avoid bringing up politics when I visit certain family members, it seems reasonable to steer clear of these male domains in my host country, even if the fact of apparent segregation bugs me. So far, it hasn’t been a huge burden to keep walking, and finally come upon a place that for one reason or another ( and I’d really like to know what that is), is acceptable, and suddenly you’ll find the ladies: old and young, covered and not, all responding to some code that makes this place appropriate in the midst of an abundantly male-oriented city. Super interesting- we will have to ask Yasir what is up with this.